​Europe’s leading ferry company Stena Line has been awarded the Best Sports Sponsorship of the Year award at this year’s Irish Sport Industry Awards for its sponsorship of the Dublin Horse Show. Stena Line took over sponsorship of the iconic Irish sporting and social event in 2018 and is currently preparing for an even bigger event in 2019. 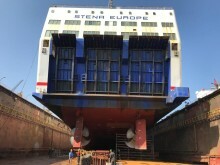 ​The Stena Europe, which operates on the Fishguard – Rosslare ferry service is currently undergoing a significant three-month refit visit to the Gemak Shipyard in Tuzla, Turkey. 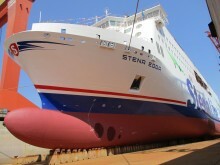 ​Leading ferry company Stena Line has achieved another major milestone in its fleet investment program with the ‘float out’ ceremony of the second vessel in its next generation E-Flexer series. 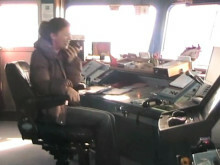 The second vessel will be named Stena Edda* and follows the Scandinavian heritage decided for the five new vessels that are being constructed at the Avic Weihai Shipyard in China. 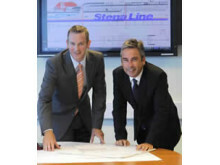 Leading ferry company Stena Line is advising Munster Rugby fans to beat the scrum and make a bigsaving with their choice of route to Coventry on April 20 for the big European Champions Cup Semi-Final clash against Saracens.